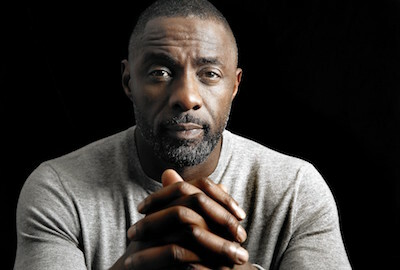 Idrissa Akuna “Idris” Elba is a British actor best known for his roles in The Wire and Mandela: Long Walk to Freedom. He has been nominated four times for a Golden Globe Award for Best Actor in miniseries or Television Film which he won one and was nominated five times for a Primetime Emmy Award. Elba was born in London, England, on September 6, 1972. His father, Winston, was a Sierra Leonean who worked in the Ford Motor Factory at Dagenham, and his mother, Eve, was Ghanaian who worked in various clerical jobs. Elba was raised in East Ham, a suburb of London. In 1986 he began to help in his uncle’s disk jockey (DJ) business, but within a year Elba started his own DJ company. In 1988 after graduating from school, Elba won a place in the National Youth Music Theatre after receiving a £1,500 Prince Trust grant. Elba landed a number of minor British television roles while working with his father at the Ford Motor factory. In 1995 he got his first significant role on the British series Bramwell, a medical drama set in the 1890s England. Elba also landed roles on other British television series, including Absolutely Fabulous, The Bill, The Ruth Rendell Mysteries, Family Affairs, Ultraviolet, and Dangerfield. Elba came to the United States and lived in New York City, New York and New Jersey but still returned to England occasionally for television roles. Elba’s big break in U.S. television came when he starred as a Baltimore, Maryland drug crime boss named Russell “Stringer” Bell on HBO drama series The Wire for three seasons from 2002 to 2004. In 2005 he portrayed Captain Augustin Muganza in the HBO film Sometimes in April, which depicted the Rwandan genocide. Elba had a lead role in Tyler Perry’s film Daddy’s Little Girls (2007), playing the character Monty, a blue collar mechanic who falls in love with the attorney who helps him get custody of his kids from his former wife. He also appeared in 28 Weeks Later (2007), This Christmas (2007), RocknRolla (2008), and Obsessed (2009) with Beyoncé Knowles. Elba continued to work in TV shows like the HBO TV series, The No.1 Ladies Detective Agency, which starred singer Jill Scott as a Botswana private detective. Elba has received multiple Emmy Award nominations and won a 2012 Golden Globe Award for his role on the BBC America series Luther, in which he portrayed a driven yet tortured detective whose conduct raised ethical issues. In 2013 Elba acted in Pacific Rim (2013) and Mandela: Long Walk to Freedom, in where he portrayed South African president Nelson Mandela. That role earned Elba a Golden Globe nomination for Best Actor. In 2014 he starred alongside Taraji Henson in the in the film No Good Deed, and the following year, he played a military commandant on the Netflix drama, Beasts of a Nation. The versatile actor also appeared in 2016 films, including A Hundred Streets, Bastille Day, and Star Trek Beyond. Elba married makeup artist Hanne “Kim” Norgaard in 1999. The couple had one daughter, Isan Elba (born 2001), before divorcing in 2003. Elba remarried in 2006 to real estate attorney Sonia Nicole Hamline, but that marriage lasted only six weeks. A few years later, Elba started dating current girlfriend Naiyana Garth. The couple had a son, Winston, in 2014 before separating in 2016.